Na’na (pronounced NAH-nuh), or spearmint, is an herb used in lots of savory ways in Lebanese cooking—we’ll be using it later this week in an absolutely delicious Lebanese salad. You can find mint at the farmer’s market now and in the grocery store throughout the year. Don’t worry about whether or not the mint you’re finding is spearmint–it always is. And if not, you can blame me for having said so. Mint is easy to grow yourself—almost too easy, in that na’na grows like a weed, helping itself to as much free soil in your garden as it pleases. If you do plant the mint, there’s no hope of taming it to stay where you put it, so, like an unpredictable toddler, it’s best to cordon it off in a space you can control. The mint might pout some, but she’ll get over it and thrive. I keep mine in a terra cotta pot out back near the herb garden, with some trimmings on the windowsill. 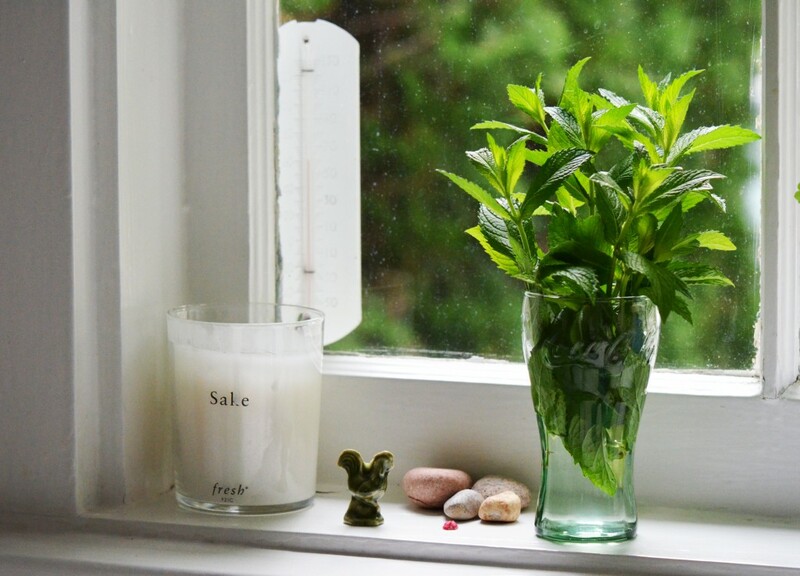 Because mint is just that lovely and fragrant. 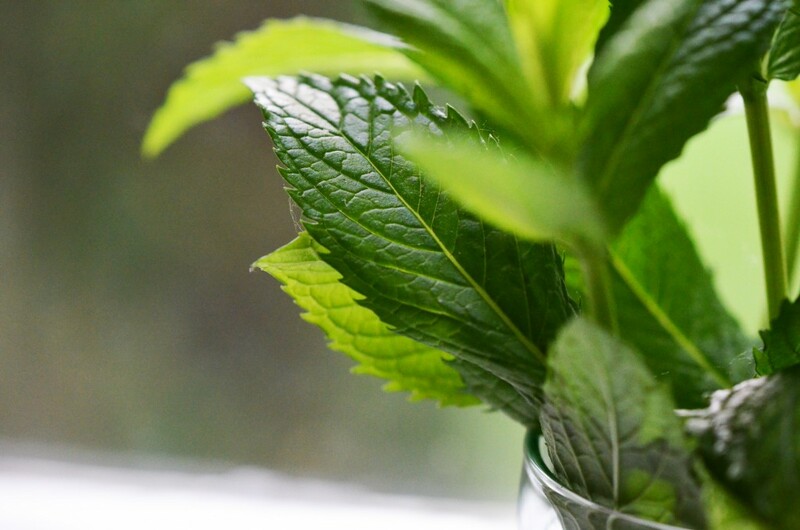 5 Responses to "Ingredient: Mint, or Na’na"
You are so right Maureen, it does grow like a weed! I took 4 roots out from the mint patch at my parent’s house in Michigan and planted them in a pot out here in California and my mint is growing like crazy! So refreshing and really adds flavor to everything. Anne, I love that you took some mint from home!! Keep it going!! I’m looking forward to the mint recipes. I’ve recently fallen in love with two recipes using mint in a quinoa dish and am interested to learn about more (non-sweet) uses.